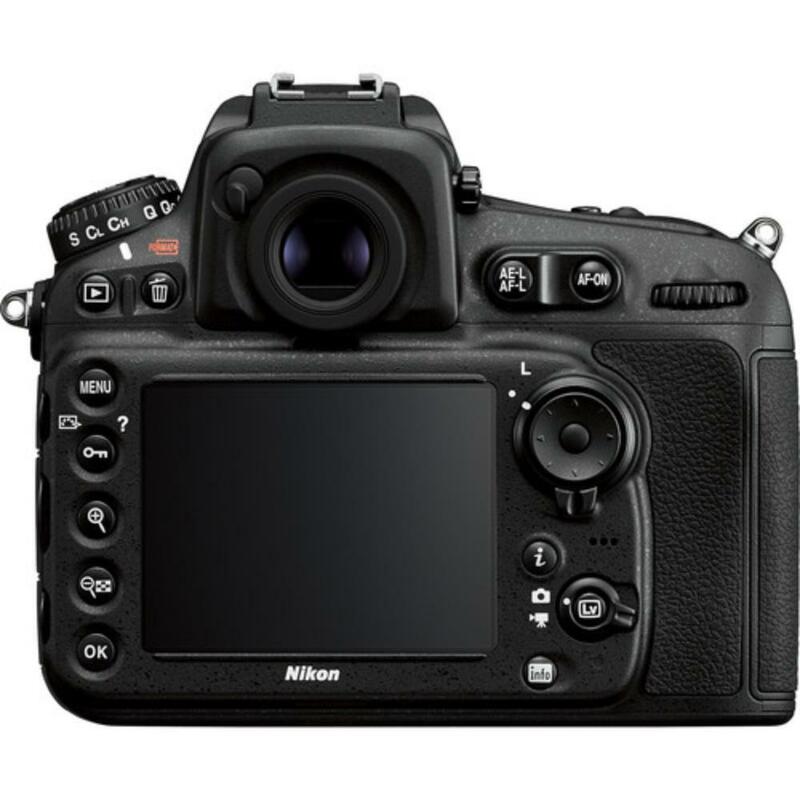 For an updated version of this camera that includes expanded video options, a boost in megapixel count, a tilting touchscreen, and built-in WiFi, please see the Nikon D850. 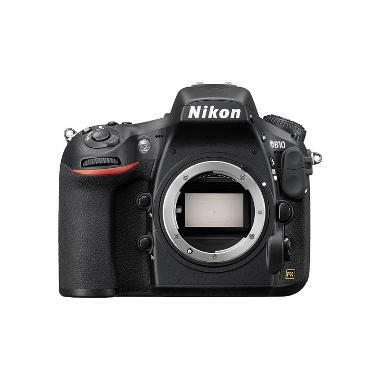 The Nikon D810 Digital SLR Camera improves on the D800 with an extra boost in ISO (from 50-25600 to 32-51200, extended modes) and an increase in shooting speed (from 6 to 7 FPS). It is also a little lighter and sports better ergonomics. Like the D800E, the D810 lacks an optical low-pass (anti-aliasing) filter. Under normal shooting circumstances, the optical low-pass filter prevents the instance of moire patterns from showing up in your images of tight-patterned objects, such as fabrics. The benefit of removing these anti-aliasing properties for the D810 is maximum sharpness for RAW files, optimized for landscape or simply extreme detail-style shooting. The D810 includes 1080p video capture at up to 60 FPS. Stay out in the field and shoot for longer with the optional Nikon MB-D12 Battery Grip, which also provides a second grip point with easier button access. A selectable audio frequency range provides exacting control over sound recording and sequence shooting is a breeze with its built-in intervalometer and time-lapse mode. The Live View function includes split screen display zoom for stills and zebra highlighting display in video mode. Equipped with both full frame and crop frame modes for stills and video, the D810 is versatile enough for long-range shooting, such as for wildlife, and studio work like portraiture and commercial assignments. Take advantage of Nikon's native Creative Lighting System by firing off-camera flashes, such as the Nikon SB-910 Speedlight , with your built-in flash and control external flash power directly from the camera's menu. Accelerate your workflow with Nikon's RAW-S file format, which delivers 12-bit uncompressed Nikon NEF files that enable faster image transfer and smoother post-production. A "Sequencer/Balancer Mechanism" enables Quiet Continuous Mode for near-silent sequential shooting, which is perfect for ceremonies and wildlife. The Nikon D810 is a robust workhorse for serious still and video shooters who need maximum control over sound, exposure, remote flash firing, file size, and shooting speed all in a compact form factor with a deep grip and extensive weather and dust resistance. 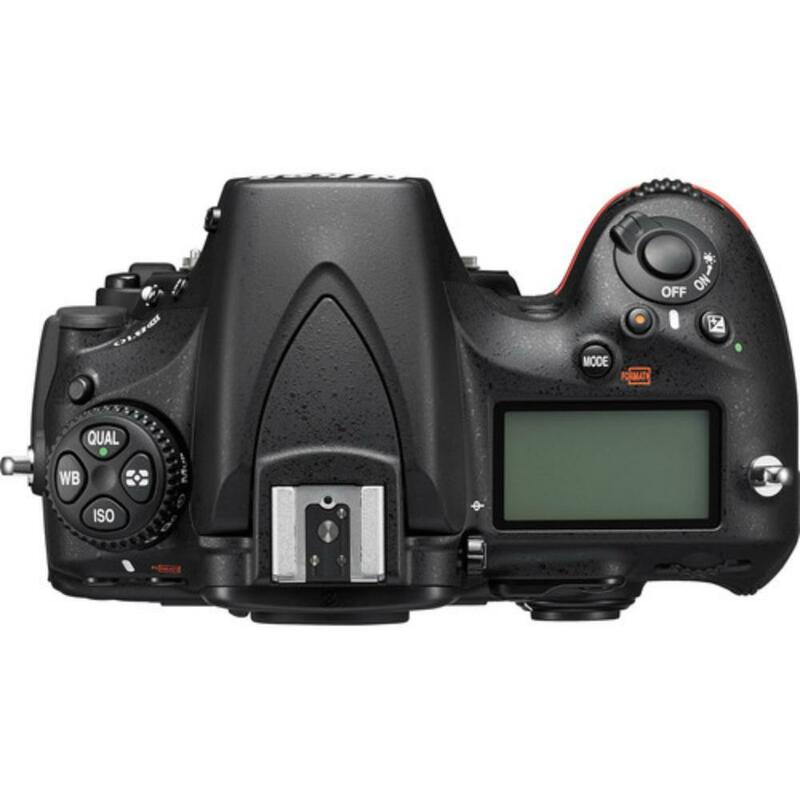 • This camera is compatible with the Nikon MB-D12 Battery Grip, which is not included. • Continuous video shooting is possible for approximately 20 minutes at 50 FPS and 60 FPS in Full HD and approximately 30 minutes at 24 FPS, 25 FPS, and 30 FPS in FUll HD.